The traditional Rottweiler is intelligent, courageous, loyal, stable and a loving dog that makes a great family guard/companion dog for life. A Rottweiler from high quality breeding and is raised properly, makes the perfect “man’s best friend”. If you’re interested in the Rottweiler breed you’ve come to the right place, the article below is worth a read before making a long term commitment and choosing your Rottweiler puppy. Doing your research like you would with anything else you buys is the first step to knowing whether the Rottweiler breed is the right choice for youyou’re your family. By reading books and investing sometime researching the breed online would save you a lot of money before making a long term investment. Going to Rottweiler specialty shows to have a look at the breed and by talking to people who own, show and breed the Rottweiler breed is also a very good source of information to help you make your mind up. There are specialty shows all around Australia and information on these shows including dates and locations could be found here. All breeds have their own distinct personality traits and breed-specific characteristics. The Rottweiler is the same and the better you familiarize yourself and understand them the easier it is for you to make the right choice. Research will confirm either one of two things, this is indeed the right breed for you or not. A Rottweiler is not for everyone and in its own right shouldn’t be. So make sure that you are prepared to be a responsible Rottweiler owner. There are a number of Rottweiler breeders but not all have good intentions of doing right by the breed, they do breed for all the wrong reasons and do not comply with any ethics code. 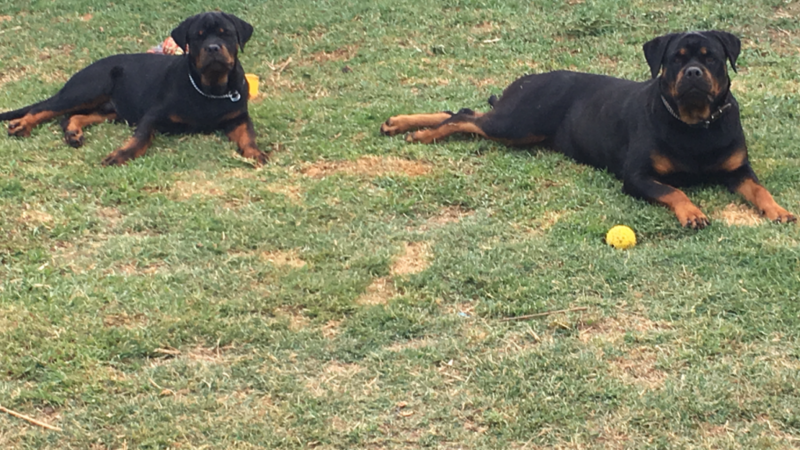 Choosing a breeder is never easy so make sure you choose one that belongs and comply’s to the code of ethics of both a Rottweiler Club as well as a state / territory dogs governing body such as Dogs NSW. This will ensure you get a healthy puppy as the proper health screening tests would have been carried out on both the sire and the dam of the pups. This includes but is not limited to Hips/Elbows x-rays and scoring, Mouth and Eye Certificates etc. sometimes heart test is done as well as DNA Profiling. This will ensure you get a puppy with no known genetic disorders which will end up in heart ache and a massive vet bill all for the sake of saving a couple hundred bucks. There are predominantly two categories which people tend to put themselves in when breeding ie. conformation bloodlines (show lines) and working bloodlines ( , tracking, obedience). A combination of both bloodlines generally produces a good mix & ensures that the dogs look and act like Rottweiler’s! 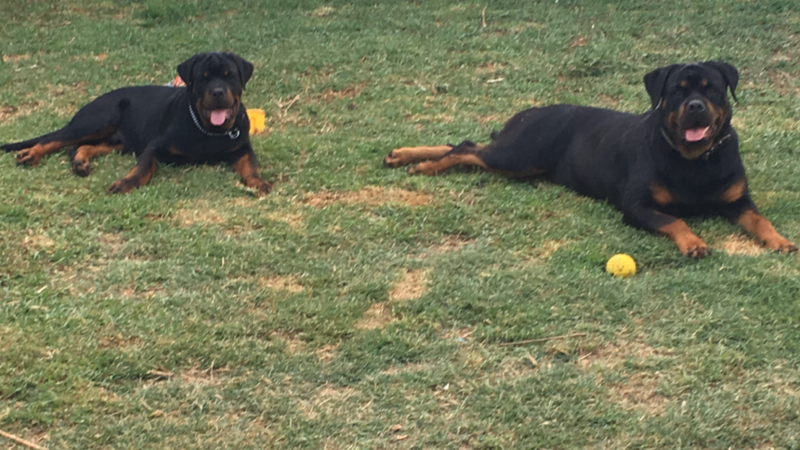 At Vanaheim Rottweilers we tend mainly breed for confirmation and use confirmation bloodlines but tend to bring a good ADRK German working bloodline in from time to time to ensure we maintain the drive and workability in our dogs. German working lines are superior in temperament as they come from dogs that are worked in Schutzhund, a working dog sport designed in Germany to evaluate a dog’s protection drive, obedience level & tracking ability. These German bred dogs also need to pass a German ZTP (Breeding Evaluation test) before they are allowed to be bred from. So in simple terms a poor example of the breed won’t pass this test and subsequently won’t be allowed to be bred from. This is a great way to ensure the Rottweiler gene pool is polluted with unworthy examples of the breed which ultimately ends in giving the Rottweiler breed a bad rap. These stringent evaluations are an integral part of maintaining and preserving the Rottweiler breed traits – working ability, courage, loyalty, guarding instinct, stability, intelligence and should show unwavering love and devotion towards their owners and all family members. So make sure the bloodlines the breeder has in his dogs derives from quality dogs and that has a bloodline that is tracked back in history using the pedigree databases available. The dogs should be physically impressive; mentally stable and intelligent. Ask potential breeders as many relevant questions as you can think of that it will benefit you in making your decision with a view to get the best suitable puppy for you and your family. A good breeder will have more questions to ask you than what you should and would have for them. Ask them how long they have been in the breed as nothing beats experience. Are you a member of a state Rottweiler Club. Are you a member of a state governing body like Dogs NSW. Are the dogs you use health tested for hereditary diseases. Make sure the breeder is prepared to guarantee their stock, this should be standard with any reputable breeder who is confident with the dogs he is breeding from is high quality dogs. There are some wonderful dedicated breeders out there you just need to find the right one for you. Rottweiler puppies are all cute and adorable when they are young, but it is important to note that this doesn’t last and they grow up to be a 45- 50+ kg animal. So don’t make the choice lightly and where possible go and check the puppy out face to face. Each pup has their own personality and combination of genetics. A good experienced breeder should be able to help you find the perfect pup for your home, family and intended purpose. The pup has been with the breeder for at least 8 weeks whilst he/she has been raising the litter so they will know each pup individually and of course they know the sire and dam as well which will help in the decision making process. A new puppy will take a lot of time, patience and love so you need to be ready for that. The first few weeks could be challenging whilst the puppy settles in and gets into a routine. Once settled into a routine it will be fine. You need to be extra-vigilant during the early weeks and it is not recommended to take the puppy off your premises until it had all its puppy vaccines. Make sure the pup is fully vaccinated before you do so. Also make sure the pup is regularly wormed and given flea and tick treatments if you are walking in bushy areas with long grasslands. Rottweiler’s are intelligent animals with a desire to learn and please their owners so it is never to soon to start training your Rottie. A good start is with name recognition and the basics such as sit – stay commands. As soon as the pup is 16 weeks old and it has received it’s 3rd & final puppy vaccination enroll it at a puppy school with all breeds of dogs, this helps it understand that there are more dog breeds than just Rottweiler’s and it learns to deal with smaller breeds like poodles etc. Socializing your Rottweiler puppy early on as well as throughout it’s life, is very important to having a well socialized confident dog, that is trustworthy and stable. Stability is very important in such a big powerful animal. Show your pup heaps of love and attention so that they can see that affection is a positive emotion and that they are loved. Once understood they will love in return and form an incredible loyal bond with you and your family. Rottweiler’s are big powerful highly capable and useful dogs and when raised right should play an important role in your family as a loving companion, a family. A well bred dog with the right genetics has no limitations in regards to learning and usefulness, that limit is up to you – The Owner(s).